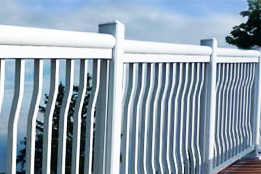 Punch Tools has developed several strong techniques through our years of experience developing aluminum railings and fences. This means that you never have to worry about inconsistencies in the spacing. With our punch and pilot design the pickets stay straight and never develop progressive spacing errors.